This circuit is about audio sound level LED display, indicator, monitor or you can say it “Audio VU (Volume Unite) Meter”. 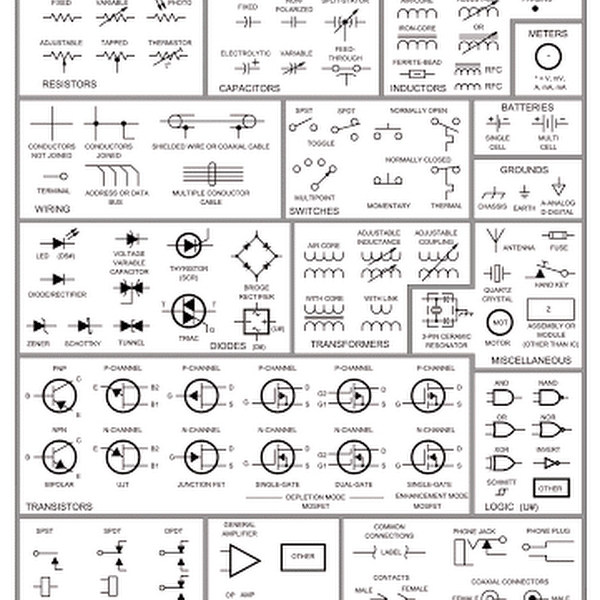 This is a simple audio sound level LED display circuit diagram. The circuit is completely based on a single ic LM3915 from National Semiconductor. The LM3915 is a monolithic integrated circuit. It displays the audio sound level in terms of 10 LEDs and providing a logarithmic 3 dB/step analog display. 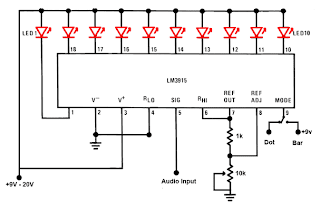 The audio sound level LED display circuit can operate from a single supply 3V to 25V. But I suggest to use 9-12V. LED brightness can be controlled with a single pot( variable resistor) as shown 10K ohm in the circuit. 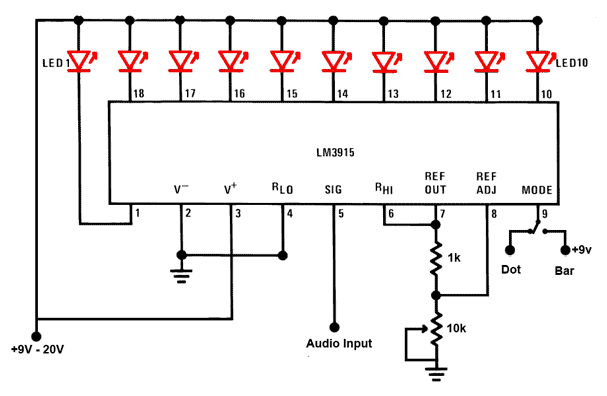 Connect the audio input signal in Pin-5 of LM3915 from output of a audio device like output of audio amplifier or any other source. The Pin-9 of LM3915 is to select dot or bar mode display. To make the circuit moving dot display instead of a bar graph display disconnect the Pin-9 from +V.